[A/N]: Commenting and voting would be amazing ! When they got back to their table, Zayn and Liam were smirking at them because they knew what they were up to. Once they sat down next to each other with Louis all cuddled up in his alpha&apos;s arms, Harry cleared his throat and said, "So, the weather?" Niall being gullible about the whole situation said, "The weather is actually pretty nice today, a bit windy but nice." Zayn and Liam tried to hold themselves from bursting out laughing so they nodded in agreement. Harry rolled his eyes at the two alphas then looked down at his omega and murmured, "Still hungry?" Louis shook his head and whispered in his neck, "Not as hungry. It&apos;s like having dessert before dinner." The alpha smirked and whispered back, "Good." The waiter came and kept their food on the table along with their drinks before leaving. Niall said with a sigh of relief, "Finally, I was starving," and started eating his fries. Louis smiled as he sat up in the chair and started eating too while his leg kept brushing with Harry&apos;s.
They were all talking about random things and laughing at something Liam said so since he didn&apos;t understand why they were laughing – it made it even funnier. Out of the blue, Zayn&apos;s phone started ringing, and when he pulled it out, he gasped when he saw the caller ID. He said, "It&apos;s the hospital." Liam said, "Well, answer it and keep it on speaker." Niall was still eating in peace while the alphas were listening to what the nurse was saying. "I have some great news. Turns out that it is both Mr. Payne and Mr. Malik&apos;s baby. We had to re-check at least twice just to make sure that we weren&apos;t making a mistake." Niall stopped eating and looked down at the phone that was on the table. He said, "What?" "I think that&apos;s why it was only one baby. These things are so rare to happen so enjoy it. Goodnight." The line went dead and everyone at the table were silent but then Zayn broke the silence by saying, "This is by far the best news I have ever heard in my entire life." Liam let out a laugh and said, "I would never have guessed," and looked at both of his lovers with so much love in his eyes. The idea that the babies might look like all of them combined amazes Niall, and he is now speechless which is surprising. 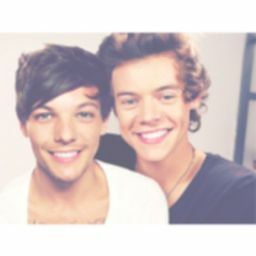 Louis awed and said, "I think it&apos;s a soul mate thing." Harry nodded while resting one hand on his omega&apos;s thighs and said, "It is." Niall leaned his back against the chair and said, "And I thought I couldn&apos;t get any luckier than I already am." Liam and Zayn looked at their omega with so much fond as they hugged him into their arms. Liam whispered, "Good people deserve good things." Zayn nodded with a smile on his face and his smile extended when he said, "I am curious about how our baby would look like." Niall said out of nowhere, "That makes the two of us." Liam smiled with his cute cheeks and said, "Me three," and added, "Let&apos;s eat?" They all nodded and continued eating while the Omega was thinking how the universe has been great to him. Not that he wants to jinx it or anything. Once they were back home, Zayn went over to Harry and whispered, "We need to talk." Harry turned around with his eyebrows furrowed and asked, "What is this about?" Liam appeared next to Zayn and said, "The file." 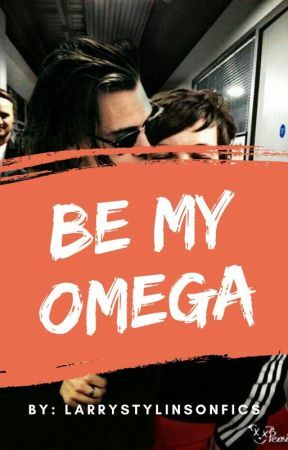 Harry looked around and saw his Omega chatting with the other omega then looked back at the two alphas. He said, "Seriously?" They both nodded while crossing their arms over their chests. Harry sighed as he rubbed his face then looked at his Omega and said, "Louis, I will go talk to Zayn and Liam about some business. Don&apos;t wait up." Louis nodded with a smile and continued talking to Niall as he said, "So you were saying..." while they both walked into the living room. Harry turned around and said, "Follow me," while walking to the kitchen. When they got to the kitchen, Harry turned around to face them and asked, "What are you questions?" Liam asked, "Who is the person?" Harry rolled his eyes as he looked somewhere else and said, "You could have checked yourself since you&apos;re the one who brought the file to me." Zayn sighed and said, "Come on, Styles, just tell us," and added, "Who&apos;s the person who has been trying to sabotage your relationship with your Omega?" Harry sat down on one of the stools while looking down at the ground while remembering the name that was on the file with big and bold letters. He muttered, "The dean&apos;s wife is taking revenge for keeping her husband in jail so she hired someone to work at my father&apos;s company and to be specifically my secretary to make the process easier." By the end of his speech, he looked up at the two alphas who had their mouth wide open and said, "At the limo, when I told you his name, I thought you&apos;d know but apparently not," and added, "I knew that it had something to do with him. He probably planned this whole thing with her." Zayn asked while walking around the kitchen, "What happened to the secretary?" Harry looked up at the ceiling for a moment before answering, "No company will ever hire her again, and the court is thinking whether or not they should imprison her." Liam sat down in one of the chairs and said, "What did you do about his wife?" Harry shrugged and said, "I sued her and made her join her husband in jail so Louis doesn&apos;t have to know about any of this. He doesn&apos;t need to stress over something that I already took care of." Little did Harry know that his Omega was listening to the whole conversation with his hands shaking. Niall was in the living room still because he was waiting for Louis, who was supposed to bring himself some water.